Using our “Conjugation Tables,” you can see the many ways a verb or adjective can change depending on the grammatical “addition” that is added to it. This addition is first introduced in Lesson 5. 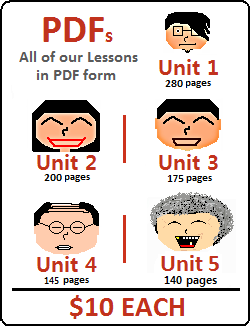 It’s application to irregular verbs and adjectives is introduced in Lesson 7. 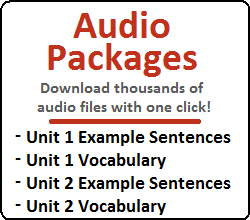 When attached to adjectives, this addition is first introduced in Lesson 4. When attached to verbs, this addition is first introduced in Lesson 26. ~ㄴ/는다 cannot be added to adjectives – only to verbs. This addition is first introduced in Lesson 6. This addition is first introduced in Lesson 9. This addition is also discussed at length in Lessons 26 and 28. This addition is first introduced in Lesson 21. The only words that any of these additions affect are words where the final letter in the stem is ㄹ. This addition is first introduced in Lesson 29. This addition is first introduced in Lesson 32. ~(으)려고 is typically not added to adjectives, and neither is ~(으)라고 or ~(으)려면. In order to show how attaching ~(으)ㄹ… affects the stem of adjectives, the addition ~(으)려니 is used instead. 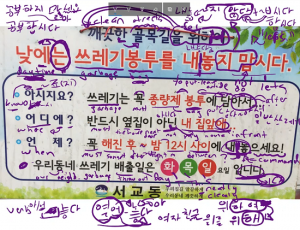 ~(으)려니 has not been introduced in our lessons yet. Don’t worry about it’s meaning – worry about its effect on irregulars. This addition is first introduced in Lesson 39. All of the entries in our Conjugation Tables below could be used in sentences as-is (where appropriate) except for the entries beside the addition for ~(으)시. When you add ~(으)시, you are still left with an unconjugated word. In order to make these usable, you would need to add some other addition. For example, 운동하시 could not be used by itself. However, 운동하셔, 운동하신다, 운동하십니다, 운동하실, 운동하시니, 운동하시려고 or 운동하시면 would all be acceptable. This addition is first introduced in Lesson 43. This addition is first introduced in Lesson 81. Notice that this is different than the addition ~니. Although not all additions are provided in the conjugations tables, you can use them to infer what would happen if similar additions were added. For example, the tables show what happens to verbs when ~(으)시 (Lesson 39) is added. 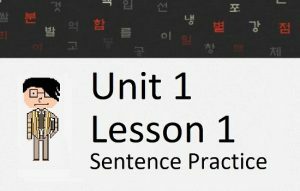 The change in the word would be identical to the change when ~(으)세요 (Lesson 40) is added.